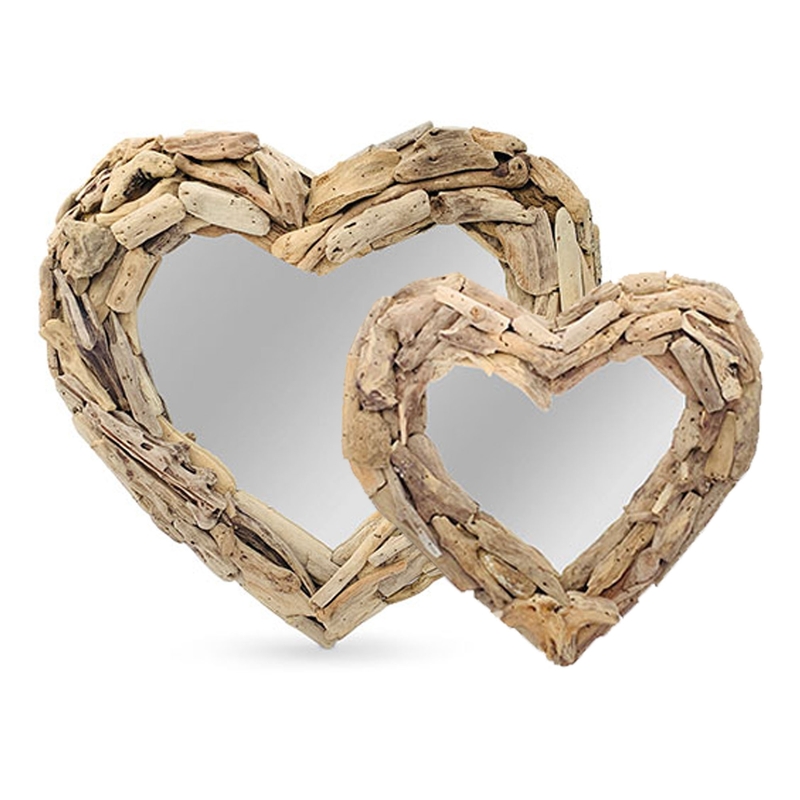 We are very proud to introduce the magnificent Driftwood Wall Mirror Contemporary Heart. This wall mirror features a lovely heart shape that's created from driftwood and wooden materials. The unique materials of this piece make it look very eye-catching and impressive, as well as enhancing the modern design.